PME Cake Icing Straight Edge Smoother & Polisher. This tool has one straight edge, and one curved. 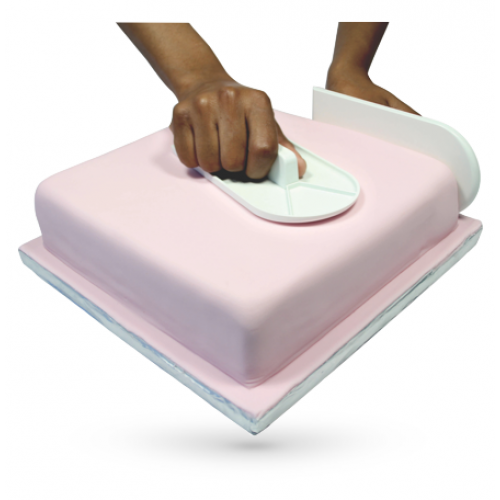 It is designed to help create a smooth professional finish when coating cakes with marzipan, sugarpaste icing. 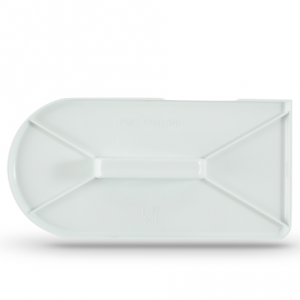 The straight edge allows you to get into the corners of your cake, releasing bubbles and smoothing out indentations and marks.